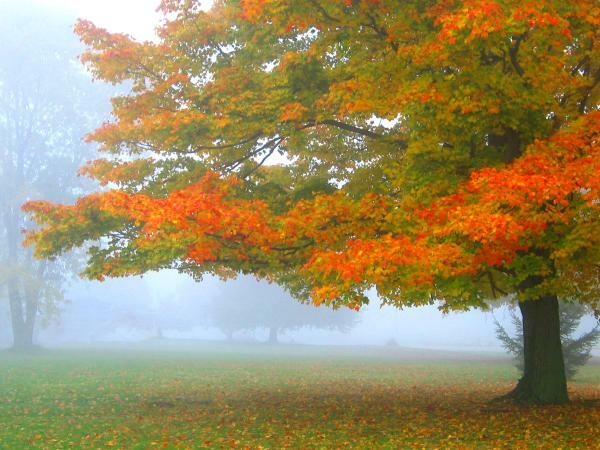 Fall foliage is usually at peak color between the middle and end of October. The exact timing, and degree of color, is dependent on factors such as temperature and rainfall. This foggy morning scene was found near Germantown, on Mason County's western border.